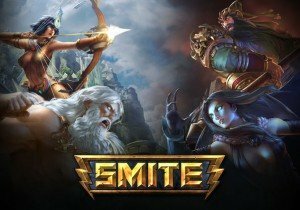 FACEIT, the leading competitive platform for online multiplayer games, and Hi-Rez Studios, the creators of the hugely popular MOBA game SMITE, are pleased to announce their partnership and the launch of SMITE to its whole community of players on the FACEIT platform this October. SMITE will initially be supported on PC and Xbox One. Players will be able to take part in the several competitions on offer. A series of daily and weekly competitions have been created to provide North American and European players the opportunity to win brand new hardware, gems, exclusive skins, exclusive chests and much more. After a successful open beta, where thousands of players tested the system and gave their own recommendation, FACEIT and Hi-Rez are now ready to bring the game to the next competitive level. We’re incredibly happy with the community participation following our technical integration on FACEIT. FACEIT is the now official platform to play competitive SMITE on and hone your skills. The integration is the first milestone and part of a series of grassroots activities we will be creating together, bringing more competitions and exciting opportunities for SMITE players. Stay tuned for more information!